My kid was bragging about how he has so many followers on Instagram and I let him know about my Twitter followers to which he said, “Dad, you’re only allowed to have 150 friends.” To which I answered, I’ll accept that if you can tell me the name of that theory. He couldn’t so I have more than 150 true friends. I know…too competitive. Anthropologist Rubin Dunbar came up with an interesting research on the Dunbar Number. 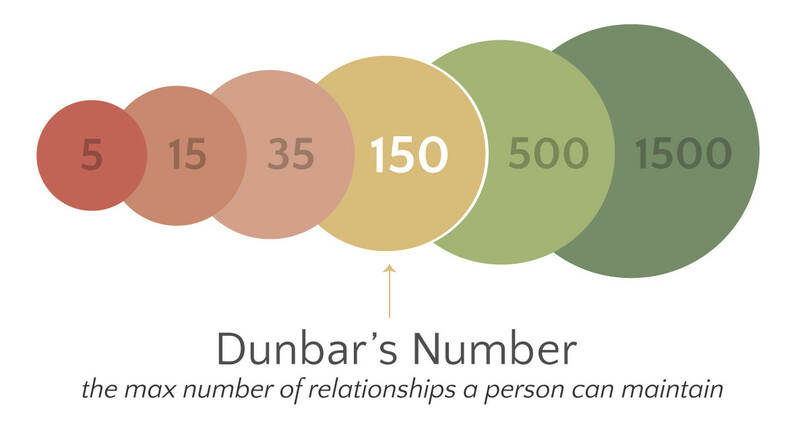 Dunbar Number is basically the number of friends any human can have. So whether you are a big extrovert or the life of a big party, Dunbar number suggests that you can have no more than 100-250 friends, 150 as an average. It’s sorta like why phone numbers are only 10 digits. Dunbar number was coined by Robin Dunbar when he studied the neocortex of primates. The size of the human brain of the primitive species suggested that any human can have a healthy friendship with 150 other humans at the maximum. Numbers larger than this requires the person to consciously put in a lot of efforts, change his norms and rules so that he can create a level of stability. Robin Dunbar was working in his lab in the University of London studying about the primitive species and how large their brain was. It was then postulated that it was the reason why those primates were able to survive in a large, complex group of environment. He then made it into a simple math equation and came with a magical number. He rationed the size of the neocortex (or the frontal lobe of the brain) with the total size of the brain and he theorized how big any human’s social circle could be. 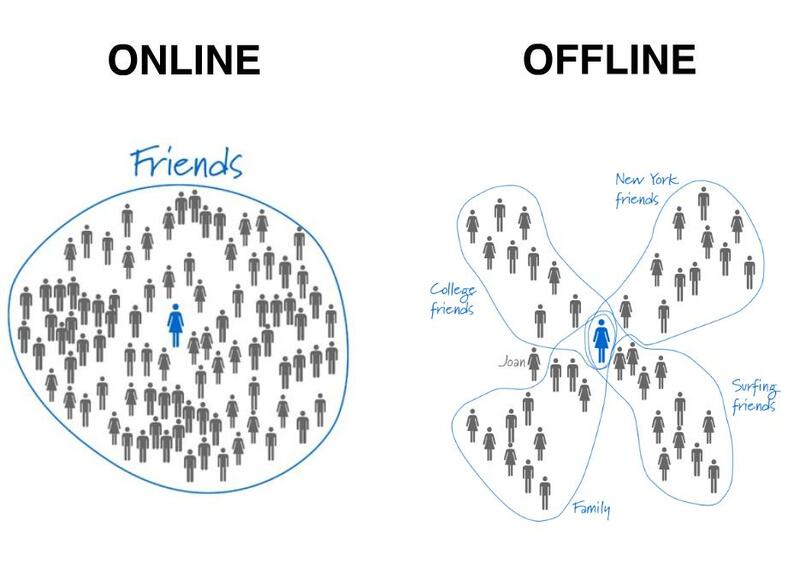 Living in this era where we have ever increasing ways of being in the social media, from Facebook to Twitter, MySpace and Instagram and many others, now everyone has many ways to reach out to their friends whether they live in the same building, city or another country. Distances have been shortened by the advent of social media. But, with very new friend who is added in their social circle, an old friend or the least insignificant one is removed. This has nothing to do with having any grudges for the other but just a way to make room for enough people in their limited social circle. Ever experienced having an awkward encounter with someone you knew before? Or having that feeling that you could have talked more or just said anything to someone you recognize? That has nothing to do with your poor social skills but all a part of your brain which controls your friends circle and only allows certain number of people to come. This stands the same for companies as well. When one company exceeds 150 employees, it becomes too much of a task and energy to handle 150 heads at the same time, so the company sets up a new branch in order to have stability in their working environment. So when the social media giants like Facebook and Twitter were created, and people started having thousands of friends, everyone started this debate of how accurate this Dunbar Number really is; and the answer is that it accurately reflects the limits of a human mind. You can have thousands of friends, but may only care for 150 of them. Personally, I aim to break that number. My goal is to try to remember names and at least 3 important things about that person.